Amelia Island, Fla. – Two heaping portions of hopeful Americana are coming to the Amelia Island Concours d’Elegance March 11 – 13. Part of the Bortz Auto Collection, the 2001 Lincoln MK9 and 2003 Mercury Messenger concepts will be on display at this year’s festivities. 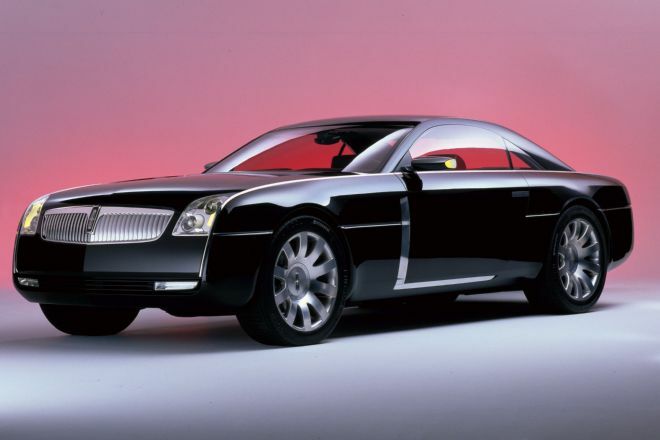 But the early 2000s weren’t entirely without optimism, as Lincoln and Mercury each revealed major concepts in 2001 and 2003, respectively. Both penned by Gerry McGovern, who would go on to have wild success with Land Rover and designs like the Evoque SUV; the Lincoln MK9 and Mercury Messenger were enormous pieces of an offensive to rejuvenate the struggling luxury nameplates. Lincoln made a much bigger statement, however, with the interior. Heavy accents of Dark Cherry Red and Marlboro Red leather, polished metal and body-colored gloss seat shells flooded the cabin. Etched glass instruments were illuminated. The cantilevered seats, positioned to improve foot room, were designed after Eames Lounge chairs. 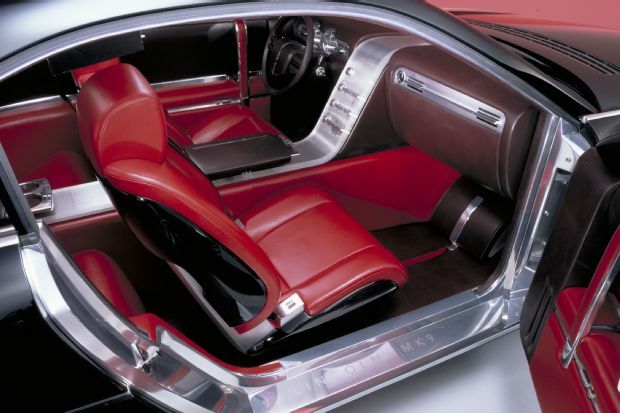 And crucially, there was ample room in the back seat, addressing a major pitfall of the Mark VIII. 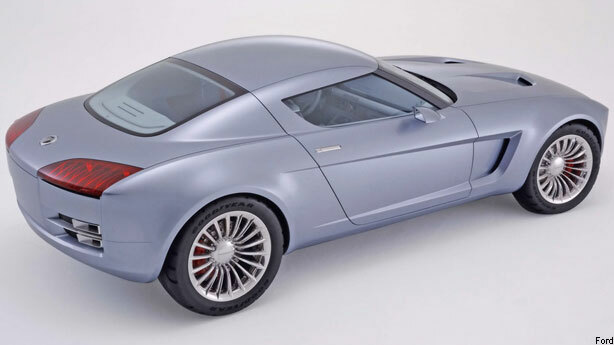 The rear-wheel-drive Lincoln MK9 concept was powered by a V-8 engine paired to an automatic gearbox and used four-wheel independent coil spring suspension, and anti-lock disc brakes. While the new naming convention would appear on cars like the Lincoln MKS and the grille showed up on models such as the Aviator SUV and Lincoln Town Car, Ford and Lincoln never delivered on the prospect of a rear-wheel-drive coupe. 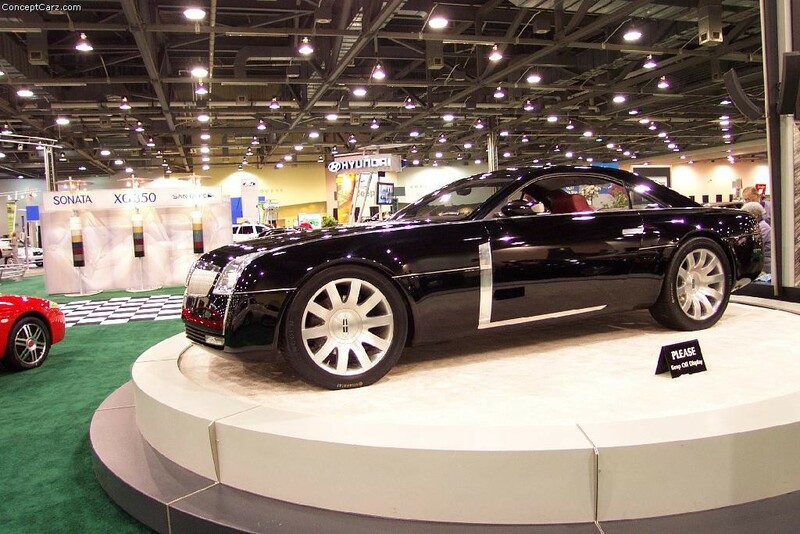 The Bortz Auto Collection bought the 2001 Lincoln MK9 from Ford at auction for $101,750. Although it runs and drives, it’s not registered for street use. The cars were collected by Joe Bortz, a biochemist who made his fortune with Chicago-area chain restaurants and nightclubs, has since the 1980s made a habit of collecting concept cars that would otherwise have been crushed. Bortz has saved many of the GM cars were once displayed at 1950’s Motorama shows. He keeps them in an anonymous garage in the northern part of suburban Chicago, which hides treasures like the 1955 Chevrolet Biscayne, 1954 Pontiac Bonneville-Special, and the 1953 Buick Wildcat. 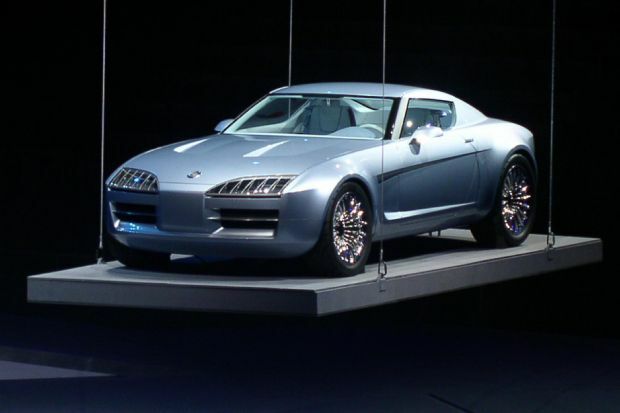 Although concepts like these were never built to production-spec, they were real running cars that drove and turned. It helps for today’s collectors, of course, that fiberglass doesn’t rust. Check out the both the Lincoln MK9 and Mercury Messenger concept cars at the 2016 Amelia Island Concours d’Elegance beginning on March 11.